To view anthology details, please go to our Books page. The W.S. Graham centenary anthology, The Caught Habits of Langauge, is now published! Featuring 100 poems to mark Graham's 100 years, including 20 previously unpublished from Graham himself. The anthology is edited by Rachael Boast, Andy Ching and Nathan Hamilton, with an introduction by Sunday Times poetry critic Jeremy Noel-Tod. Donut Press have been shortlisted for the Callum Macdonald Memorial Award for the publication of Murder Bear, by W.N. Herbert. The winner of the award will be announced on the evening of 15th May 2014 at the National Library of Scotland in Edinburgh. "The annual Callum Macdonald Memorial Award is for the publisher of an outstanding example of pamphlet poetry. The pamphlet or its publisher will have a connection with Scotland or Scottish culture." Murder Bear, by W.N. Herbert, is available to buy from our books page. Cover price is £12, but order now for a discounted price of £10 (inc P&P). Donut Press is happy to report a return to publication. In December 2013 we'll publish a special edition, Murder Bear, by W.N. Herbert, who earlier this year published the wonderful Omnesia (in two versions) with Bloodaxe Books. From midday on Sunday 9th December 2012 Donut Press will offer while-stocks-last discounts on two limited edition titles by Tim Turnbull. The Camden Art Redemption Miracle will be available for £12 (that's a 40% discount on cover price) and Caligula on Ice will be available for £20 (that's a 60% discount). These offers will be available on a limited amount of stock and will last until midday Monday 10th December 2012 at the latest. Donut Press will be heading to the Ondaatje Wing Theatre at the National Portrait Gallery on the evening of Thursday 25th October to hear poetry inspired by The Lost Prince: The Life & Death of Henry Stuart exhibition. Matthew Caley and John Stammers will be reading poems which relate to the themes in the exhibition, from celebratory festivals and new adventures to death and mourning. There will be poems from the Jacobean times of Henry Stuart through to the modern day. Kick off is 7pm and admission £5 (£4 concessions). A Donut for John Keats. Friday, 21st September 2012. 6.30pm - 8.30pm at Keats House, Keats Grove, London, NW3. Come and raise a donut (and a glass) to John Keats in the Chester Room at Keats House. Readings by John Hegley, Tim Wells, Liane Strauss, Wayne Holloway-Smith and special guest comedienne/writer/actress Ms Helen Lederer. £5 entry: includes free donuts (of the edible variety) and a little liquid refreshment. 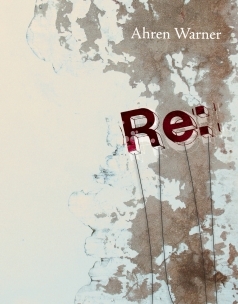 Donut Press are very happy to have been shortlisted for the 2012 Michael Marks Publisher Award for poetry pamphlets. The Michael Marks Awards are designed to raise the profile of poetry pamphlets, recognising the enormous contribution that they make to the world of poetry. Winners of both the Pamphlet and Publisher Awards will be announced at a public ceremony held at the British Library on the evening of Friday 22nd June. A.B. Jackson's Apocrypha received a positve review from Paul Batchelor in The Guardian on 17th March. "A[n] ... outlandish historicising informs AB Jackson's handsomely produced Apocrypha. 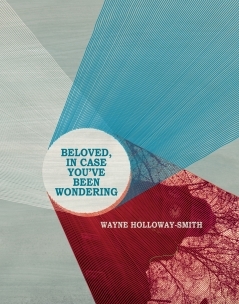 Here, the landscape switches continually between contemporary Scotland and a kitsch wasteland where America used to be ... Short and sharp, the poems time their satirical punches perfectly, as a host of biblical characters struggle to come to terms with the mawkish, violent reality of much contemporary Christianity. What holds the gallimaufry together is Jackson's love of language: "Words / flashed their gold leaf, / a self-swallowing // knotwork of new gospel." Donut Press have caught the Sale craze! From now until the end of December 2011 we're offering discounts of up to 40% on books bought from this site. And there's free shipping on all UK orders. Yep, that's sugar-coating and sprinkles! Please visit our books page and check out the revised prices. At 7pm on Saturday, 26th November 2011, Donut Press launch a signed and numbered edition of Tim Turnbull's poem The Camden Art Redemption Miracle at The Betsey Trotswood, 56 Farringdon Road, London, EC1. Tim will be performing along with special guests Kirsten Irving, Jon Stone, Wayne Hollway-Smith and Tim Wells. Admission will be free. Thirty-five copies of the book will be available to buy at a special half-price discount, only £10. Come and join us! This limited edition book is also available on our Books page for £20, while stocks last. 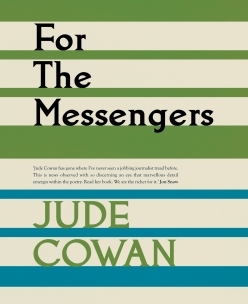 Donut Press would like to recommend Jude Cowan's mixed media exhibition, For the Messengers, at Woolfson & Tay Bookshop, 12 Bermondsey Square, London SE1 3UN, between 1st and 30th November. The exhibition will feature sketches, paintings, video and poetry in response to international news. Free entry. Also at Woolfson & Tay, on Monday 7th November (8pm), Jude will be performing and discussing her work with Jon Snow (Channel Four News). £5 entry. For further information on the book For the Messengers, please go to our Books page. Holy Donut! Donut Press at the Stoke Newington Literary Festival. Saturday 4th June (5-6pm), at The Drop, downstairs at The Three Crowns, 175 Stoke Newington High Street (on the corner with Stoke Newington Church Street), London, N16. 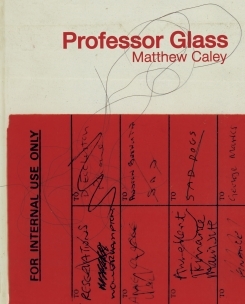 Readings by Matthew Caley, Jude Cowan and Wayne Holloway-Smith. MC, Mr Tim Wells. 30 Exmouth Market, London, EC1R 4QE. News reaches Donut Press that A.B. 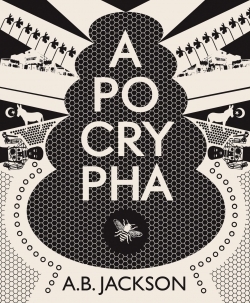 Jackson's signed, limited edition of Apocrypha has been chosen as the Poetry Book Society's Spring Pamphlet Choice. Further information, including the selector's comments, will be included in the Society's Summer Bulletin, published mid-May. In the mean time Apocrypha is available to buy from our Books page. 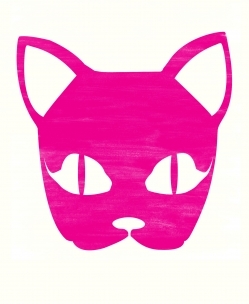 '…one of the country's most innovative poetry publishers'. 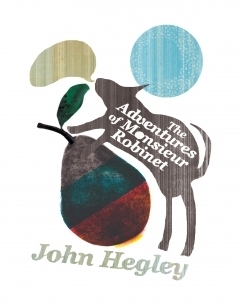 A third edition of The Adventures of Monsieur Robinet, by John Hegley was published by Donut Press in January 2011. This new edition includes illustrations by the author and is available to purchase from our Books page. 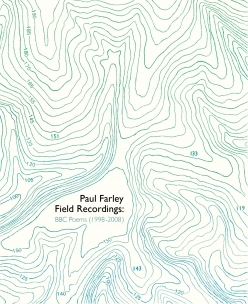 Donut Press is delighted to announce that Field Recordings: BBC Poems (1998-2008), by Paul Farley has been shortlisted for the inaugural Ted Hughes Award for New Work in Poetry. This new award seeks to recognise excellence in poetry, highlighting outstanding contributions made by poets to our cultural life. The winner of the award will be announced on Tuesday 30 March 2010 at the Savile Club in London. 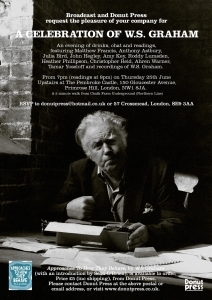 On the 25th of June 2009, Broadcast and Donut Press present an evening of drinks, chat and readings, featuring Matthew Francis, Anthony Astbury, Julia Bird, John Hegley, Alexander Hutchison, A.B. Jackson, Amy Key, Roddy Lumsden, Heather Phillipson, Christopher Reid and Ahren Warner.